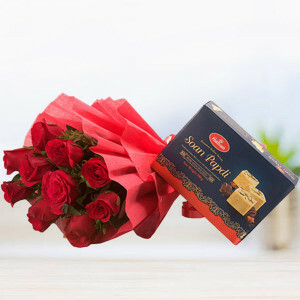 Red Roses 10, Red Paper, Red Ribbon, Soan Papdi 500 gms. 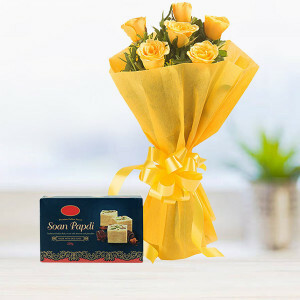 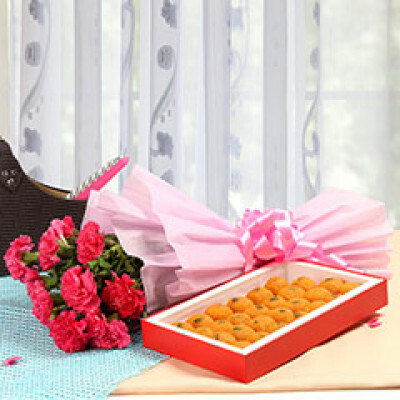 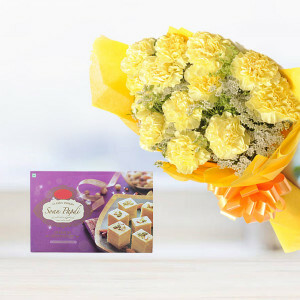 Bunch of 6 Yellow Roses in yellow paper packing and yellow ribbon and a 500 grams box of Soan Papdi. 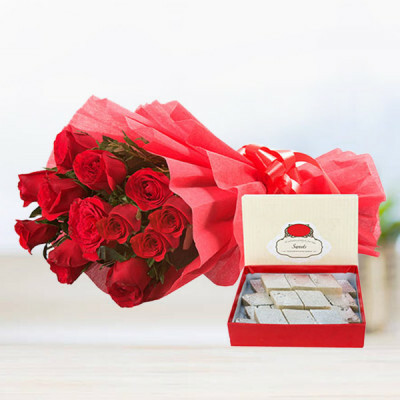 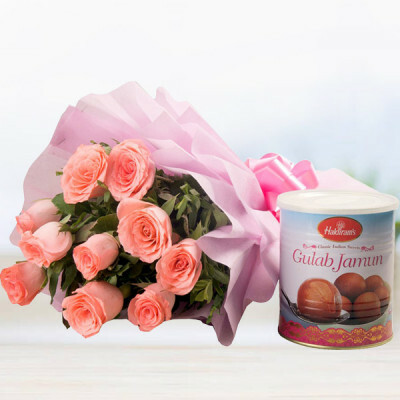 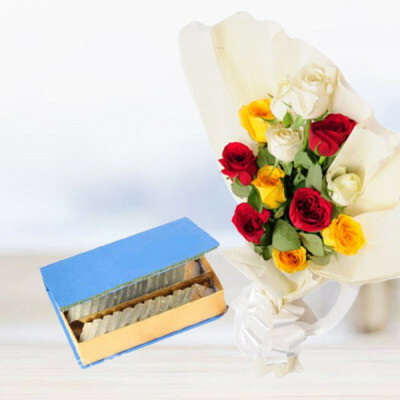 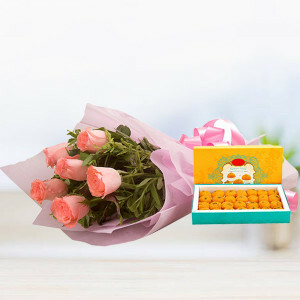 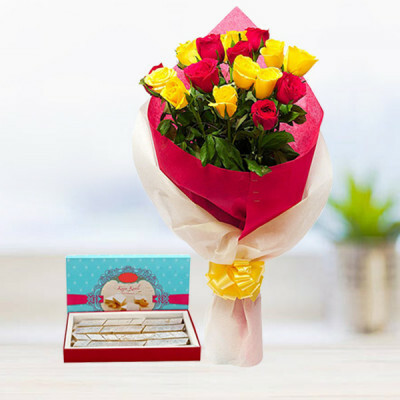 One-Sided bunch of 9 yellow roses, 7 red roses in dual color two layer packing ( red & white color paper) with yellow ribbon bow and box of 1kg Kaju Katli from Good Confectionery. 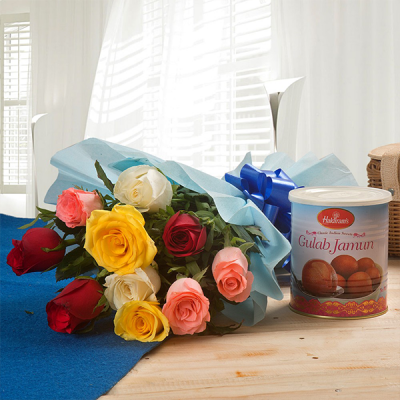 4 Red Roses, 4 Yellow Roses, 4 white roses in cream color paper packing with white ribbon now and 500gm Kaju Katli. 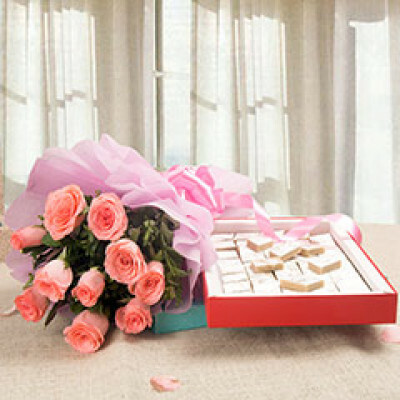 - 12 mix roses in cream color paper packing. 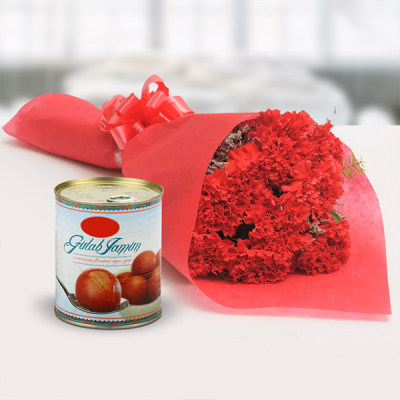 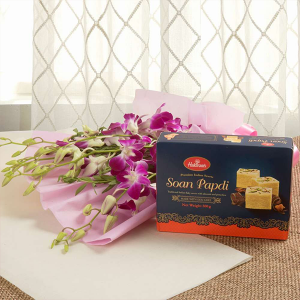 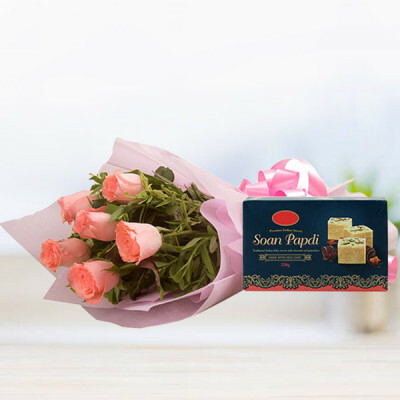 A Bunch of Lovely 10 red carnation flowers wrapped nicely with colored packing paper ,A Pack of 500g Soan Papdi. 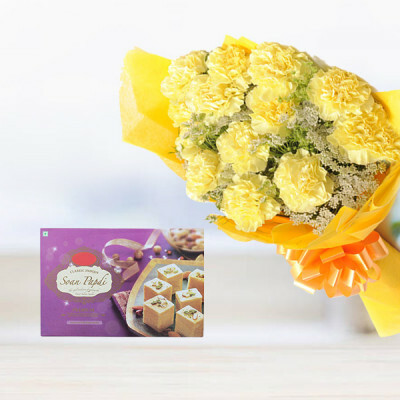 One-Sided Bunch of 6 Purple Orchid with 250gm Kaju Katli. 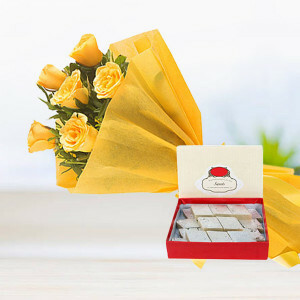 - 6 purple orchid in cellophane packing.